Due to the nature of this program and the included tours, you MUST book your hotel package through NWAS/NWWT and stay at this hotel to attend the program. A world away from the bustling crowd. 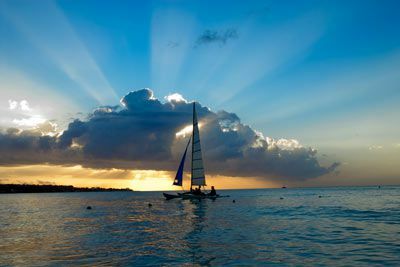 With its colorful land, communities, and people, Jamaica is a tropical island retreat sure to capture your imagination. Experience a unique culture, new foods, marvelous sights, and incredible experiences you could never have at home, just 600 miles south of Miami. 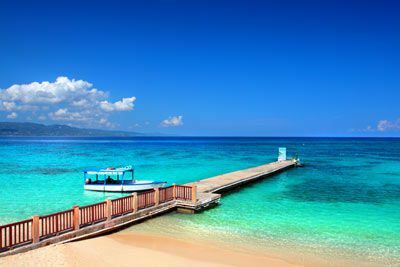 Jamaica offers beautiful aquamarine waters excellent for swimming and snorkeling (weather permitting), as well as a multitude of other adventures. Try the exotic flavors of local cuisine—goat curry, fried dumplings, jerk chicken, and salt fish are favorites of locals and visitors alike. English is the language, so getting around is “no problem.” It’s a phrase you will hear often, and it means just that; so relax, chill out, slow down, and everything will happen in good time. For shopping and entertainment, the tourist center of Ocho Rios is only 30 minutes away. 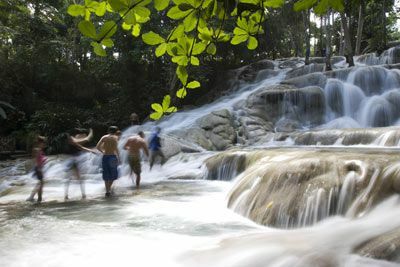 Other nearby attractions include the Dunn River Falls, Sun Valley Plantation, Reggae Beach, Boston Bay, Rafting on the Rio Grande, and Fort Haldane. Experience the history of the area: Ian Fleming wrote his 007 books here in Jamaica. Explore Ian Fleming's Jamaica, the Birthplace of 007 in the book Goldeneye, by author Matthew Parker. (Learn more.) See what mid-century Jamaica was like, a time and place that set the scene for the making of James Bond. Escape from the ordinary high rise hotel. 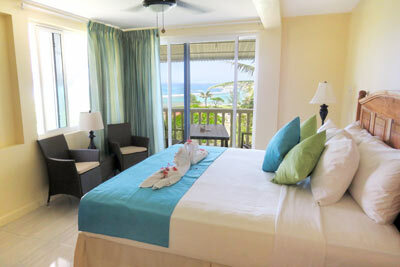 Get close to nature and enjoy the refreshing caress of the Caribbean breeze. Escape from fast food and bland fare and enjoy locally prepared Jamaican cuisine. Retreat from the hustle of the “Tourist Center” and meet the ordinary Jamaican. 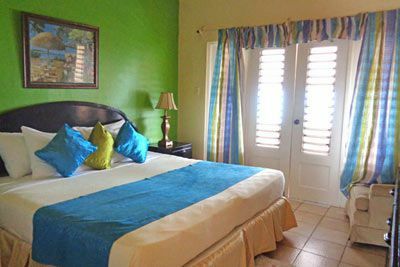 Enjoy a small historic, newly renovated, boutique inn reflecting the simple charms of a Jamaica of long ago. Snorkel nearby in the clear waters along one of the best reefs in Jamaica. There are many scenic sights within walking distance of the hotel and opportunities to meet the locals. Sean Connery enjoyed drinking and dining at Casa Maria, as did Katherine Hepburn, Erroll Flyn, Jane Russell, Noel Coward, Gregory Peck, Vivian Leigh, and many other stars of the 50s. Ocho Rios is only a 30 minute taxi ride away. WHAT THIS PROGRAM IS ALL ABOUT: It is designed to let you get to know Jamaica and enjoy a unique small group atmosphere while spending a week interacting with each other and the faculty. You will enjoy new and unusual foods and meet genuine Jamaicans. RAP in Jamaica is planned to let you experience new things in life. 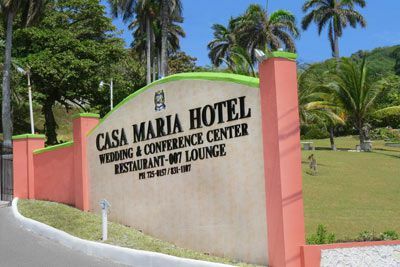 "I recently had the opportunity to do an emergency medicine updates course through NWS at Casa Maria Hotel in Jamaica! It was one of the best conference experiences I've had. 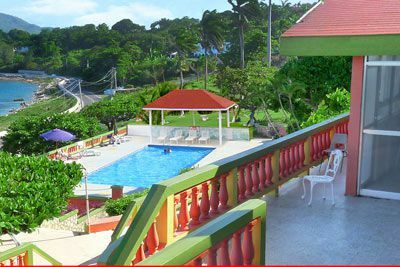 This is a quaint charming historic 24 room hotel on the coast in Jamaica between Ocho Rios and Port Maria. This hotel was a hang out for the stars in the 1960s - Sean Connery, Vivien Leigh, Ian Fleming (the creator of James Bond), etc. In the early 1980s it was purchased by an American nurse anesthetist. He and his Jamaican wife who is a fashion designer have completely renovated and restored the historic landmark. If you are ready to go with the flow and relax with a unique Jamaica cultural experience, you’ll love Casa Maria. Paul and Coleen treat you like you’re a honored guest in their home. The food is made from scratch incorporating many local ingredients such as ackee, callaloo, scotch bonnet pepper , plantain, mango, guava, pineapple, coconut, breadfruit, goat, etc. Much of this comes from their own gardens on the property. 1015 NOAC Reversal Agents: A Dream Come True? 0730 Is There a Medical Professional on Board This Aircraft? 1015 Managing Blast Injuries: Are You Ready? 0920 Treating Traumatic Shock: What's New? *Tours subject to change due to local conditions. Other tours may be substituted or added. No refund or monetary value for any package inclusions or tours not used. Certified Registered Nurse Anesthetists: This program has been prior approved by the AANA for 20 Class A CEC; AANA Code #1035474; Expiration date 11/17/18. $100 September 12, 2018 to October 12, 2018. No refund after October 12, 2018; however, 50% of tuition paid may be applied toward tuition for another NWAS program within the next 12 months. Cancellation must be made in writing.